Pain management clinic Pain Physicians NY in Brooklyn, NY is one of the first practices in New York to offer groundbreaking Interstitial Laser Therapy among other advanced procedures. Our facility equipped with the most advanced, cutting edge equipment to treat joint swelling as a result of knee injuries, sport injuries etc. Our Brooklyn pain relief specialists are best in region. We were selected to be a part of the international medical team for the Rio Olympic Games. Joints are also known as articulations, and their role in the human body is to connect the bones and cartilages of the bones to one another. Each joint is specialized to control the range of motion between the two parts that it connects. Swelling of the joints usually varies from one person to another, always depending from its cause and the type of joint that it has been affected. No matter what is the cause of the joint swelling, it can be very uncomfortable and make the movement of the affected joint very difficult and painful. Joint swelling can be so problematic, making it impossible for the affected person to finish daily tasks, work or even move around. They are surrounded by soft tissue, so the swelling occurs and becomes visible when the fluid accumulates in this soft tissue. Except the swelling, the joint also becomes painful, stiff, appears usually bigger than normal and gets somehow an irregular shape. More than one joint can be affected at the same time. Osteoarthritis – is the most common cause of joint swelling. 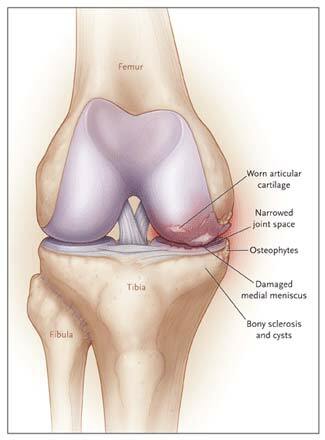 It is a medical condition characterized by natural destruction of the cartilage of the joint over the time. Rheumatoid arthritis – is an inflammatory form of the arthritis, with autoimmune nature. By mistake, the immune system of the body attacks the healthy tissues, like the membranes that line the joints, causing the accumulation of the fluid in the joints. Psoriatic arthritis – accompanies psoriasis, a disease that affects also the skin. Gout – is a form of arthritis characterized by the accumulation of uric acid in the joints. This uric acid that gets accumulated in the joints all over the human body leads to joint swelling. Gout can be acute or chronic. Septic arthritis – is a joint swelling due to an infection caused by a bacteria or a fungus. Septic arthritis may be acute or chronic. The chronic form of the septic arthritis is usually very rare. Treatment usually requires antibiotics. Systemic lupus erythematosus – is a chronic autoimmune disease affecting more women than men. The real cause is not known. However, genetics and environmental factors seem to play an important role. SLE is characterized by fatigue, headaches, a butterfly shape rash on the face, hair loss, anemia as well as swollen and painful joints. Bone fractures – any fracture of the bones, especially near the joints can cause its swelling, pain, stiffness and inability to move the joint. Joint injuries – any injury to the bone structures and to the joints all over the body are accompanied with joint swelling, pain, stiffness, etc. Physical inspection of the affected joint will help your doctor determine any possible joint swelling. When determining the cause of the swelling it is very important to know when did the swelling occur, is it severe or not, what makes the swelling better or what makes the swelling worse, if other symptoms accompany the joint swelling, etc. Further examinations and tests are also necessary to determine its cause, like complete blood tests, X-Rays of the affected joints, etc. Treatment of joint swellings usually depends from its cause. If, for example the swelling of the joint occurred due to an injury, bed rest, applying ice and also the elevation of the joint will resolve the problem. Over the counter painkillers are also recommended to control the pain. When septic arthritis is the cause of the joints swelling, antibiotic therapy is usually recommended. When other forms of the arthritis cause the swelling of the joints, NSAIDs, steroids or disease – modifying anti rheumatic drugs are used. The most advanced pain management center, Brooklyn pain management doctors and specialists at Pain Physicians NY offer unique, individualized approach to manage your pain. We are using the most effective pain management options and utilizing the latest technologies available in USA.